A wild canapé you say? I should coco. We’re just over a week before Christmas & this is definitely the time for feasting on the good stuff. 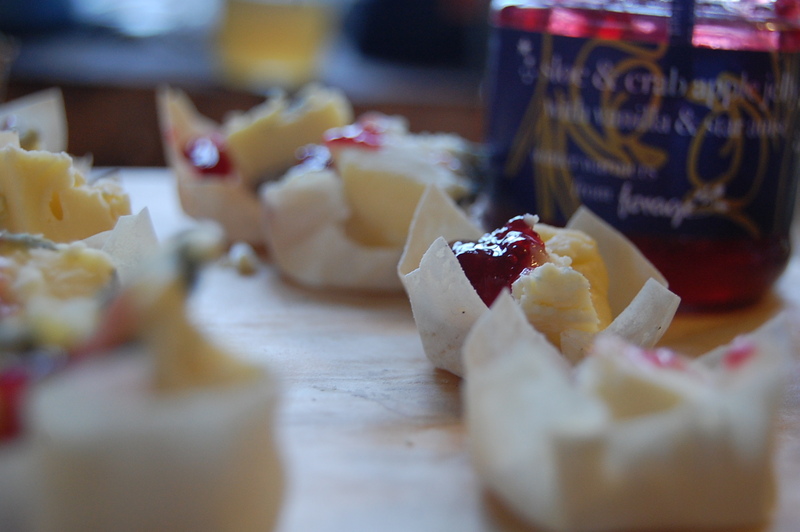 This is the time of year when our pots become very useful if you’re planning on conjouring up a few canapes to delight your guests with (or to hide away from your in laws & eat in a locked room) So if you have one of our little bottles or pots in your cupboard, dust it down, and dress it up..it’s time for Forage to party. 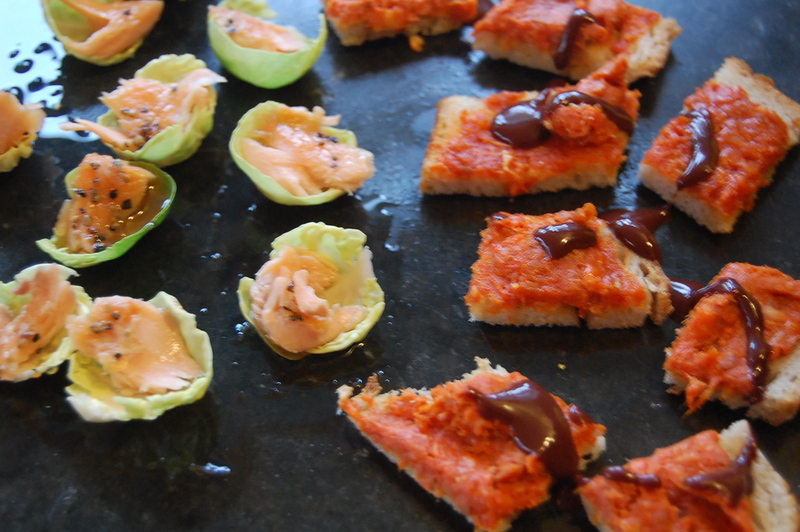 Sprout canapes. 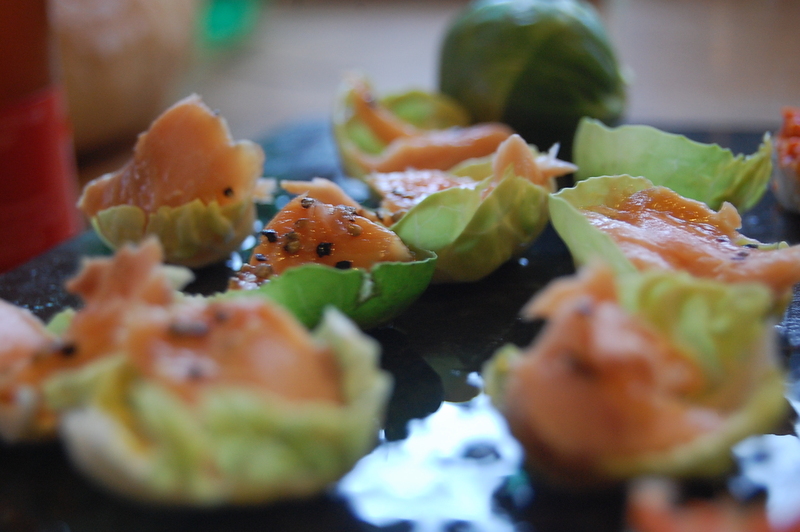 Yes sprout canapes. Sprouts are a bit marmite – I think too many of us have had to endure over cooked balls of death as children. But low, they can bring joy & magic at Christmastide. Sprouts are part of that wonderful cabbage / mustard family & the little raw leaves taste peppery and horseradishy – making them ideal cups for smoked fish, earthy beetroot and goats cheese. I am lucky enough to have a local smoker Black Mountains Smokery who does amazing things to trout & I simply break up little pieces of oak smoked trout & pop them into the little leaves, and then drizzle them with our Rosehip & Horseradish dipping sauce ( you could use a chilli jam from someone like The Preservation Society instead). I promise you’ll love forget all your bad sprout moments in a mouthful.